As we build up to the hearing in April that will determine whether Alexander Adamescu is to be extradited to Romania in accordance with the European Arrest Warrant, we at Conservatives for Liberty have been campaigning to highlight the political motivations behind the warrant, exploring the wrongful assumption of parity in the criminal justice systems of Europe and warning of the human rights abuses that Alexander could face if he sent to face trial in Romania. 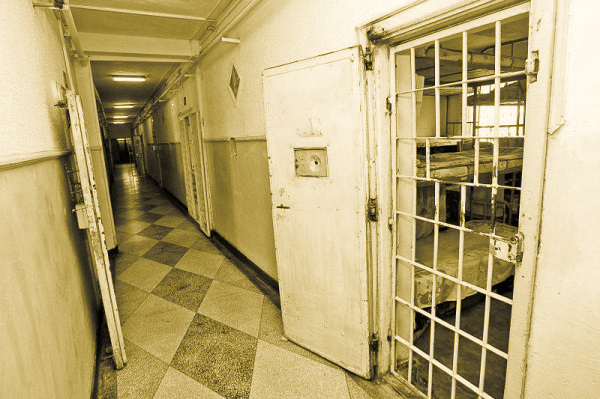 The horror story of his father’s suffering in prison, culminating in his death having contracted sepsis in the high security Rahova prison, has put the conditions in Romanian prisons in the spotlight once again. Alexander fears dying in prison like his father; English judges can prevent this by doing the right thing. Dan Adamescu suffered from a number of serious medical conditions, including, among others, type II diabetes, ventricular fibrillation and severe knee arthritis requiring the urgent and complete replacement of one of his knees. However, he was refused permission to leave Romania to Germany or Austria to receive the urgent knee operation that he required, despite his doctors’ warnings that delaying the procedure placed him at risk of death. Unfortunately, this is not an isolated incident and prison conditions in Romania are notoriously among the very worst in Europe. Even Romanian officials admit they are worthy of the medieval age. In July 2016, there were a series of protests from detainees over conditions. Prisoners set their clothes alight, rattled their cell bars, smashed bottles against windows and refused food. The protests began in the high-security prison in Iasi and quickly spread to eighteen other prisons, with around 500 inmates taking part out of 30,000 detained across Romania; a number already improved from 52,000 in 2006. For context, there is only capacity for about 20,000 prisoners in Romania. According to the activists the main issues of protest were over overcrowding, inadequate medical attention and poor diet. Many jails still have inadequate hygiene conditions, with insufficient access to warm water, insufficient sanitary facilities, insufficient natural lighting and ventilation, and poor food quality, campaigners say. Some progress has been made in recent times, so it would not be fair to say it’s all doom and gloom. After pressure from the UN, Romania has made some progress in improving prison conditions with an emphasis on reducing overcrowding. The UN Subcommittee for Prevention of Torture found that increased safeguards and mechanisms are necessary to “prevent torture and ill-treatment” in Romanian prisons. In April 2016, the government approved several measures to improve conditions, requiring €838.5million in investment over the next seven years. The National Prison Administration also plans to create 10,895 new places for prisoners and to modernise 1,651 places in local penitentiaries by 2023. On top of this effort, two newly-built prisons are also planned. Early this year, the European Court of Human Rights, ECHR, ruled that Romania must pay almost 100,000 euro in compensation to 18 convicted inmates who have served prison sentences or are currently incarcerated because of the poor conditions in local prisons. However, despite efforts to modernise, Romanian jails still fall below European standards. Everything may not be lost for Alexander Adamescu who is facing a European Arrest Warrant charge from Romania. Mr Robert Căldăraru also faced this prospect at the beginning of 2016, charged with driving without a driving licence. However, in a landmark case the European Court of Justice on 5 April 2016 upheld a decision taken by The Hanseatisches Oberlandesgericht in Bremen (Higher Regional Court of Bremen, Germany) which had found that the detention conditions to which Mr Căldăraru might be subject in the Romanian prison were contrary to fundamental rights, in particular the provision of the Charter of Fundamental Rights of the European Union prohibiting inhuman or degrading treatment or punishment. This remains one of Alexander’s few hopes of avoiding imprisonment in Romania. It is clear that Dan Adamescu was denied a fair trial and subject to extremely poor and unhygienic conditions during his imprisonment at both Centrul de Arest Prentiv and Rahova prisons. Worryingly, he was denied his medication for a period of 37 days whilst at Rahova, an extremely life risking move. It is imperative that Alexander does not face a similar fate in such dire, inhumane conditions. The conditions which Dan was subject to were a clear breach of fundamental human rights and the Romanian justice system needs to have a long, hard look at the way inmates are treated.